If you are wondering “Is this for me?” why not take a moment to read some of the quotes from other young people who attended last year, view the video of the 2010 event or take a look at some of the images. Click here to read the wonderful and inspiring thoughts from Fr. 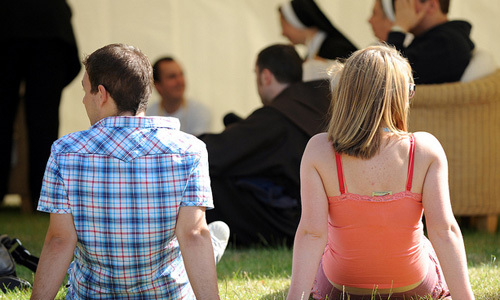 Stephen Langridge on “the right blend of Catholic youth festivals”. This entry was posted in Uncategorized by wyd2011pilgrim. Bookmark the permalink.